Ricky Kirshner '82 has won 10 Emmy Awards for his productions, as well as a Peabody and an Edward R. Murrow Award. ATLANTA, GEORGIA—It’s four days to Super Bowl LIII, and Ricky Kirshner ’82 is at the producer’s table in Row 25 of the colossal Mercedes-Benz Stadium, where the Los Angeles Rams will meet the New England Patriots in the most important game of the NFL season. The Lehigh alum is not there for the football. He doesn’t care who’s playing—or who wins. It’s a field rehearsal for the Super Bowl halftime show. And Kirshner, its executive producer for the 13th consecutive year, is intent on delivering another ultra experience for the more than 100 million viewers who will tune in to Maroon 5 and guest artists Travis Scott and Big Boi. A cultural phenomenon, the halftime show has reached a point where it outrates the Super Bowl game itself. So here he is inside the stadium, a 6-foot-4 presence with a vantage point above the 50-yard line, overseeing the first of three nighttime field rehearsals—assessing camera angles, lighting, audio, LED panels, drones. With the football players and halftime show sharing the same field, the crew will have only minutes to construct the stage and dismantle it, with a 13.5-minute extravaganza in between. Some 400 crew members race to roll out the 25 main stage pieces that will form an “M,” plus six video carts, five lighting carts and one small round stage, then connect the technical components from underneath. “Let’s go! Let’s go!” a voice rises from somewhere on the field, as crews move in three directions to assemble the stage. Seven minutes later, a logistical triumph. And Maroon 5 steps out under bursts of fireworks. The Super Bowl LIII featured Maroon 5 with Travis Scott and Big Boi. Ever since Prince famously performed his Super Bowl halftime show in the rain in 2007, Kirshner has been the force behind what is inarguably one of the most anticipated events on television. Katy Perry danced with “Left Shark.” Coldplay brought along Beyoncé and Bruno Mars. Lady Gaga seemingly jumped off a roof and landed on the field to belt out a flurry of her hits. The list goes on: Bruce Springsteen, Justin Timberlake, Madonna, The Who. Kirshner, who exudes calm, has also produced a host of other major events, many of which are distinctly American experiences—the Tony Awards, the Kennedy Center Honors, an Emmy Awards show, Democratic National Conventions and presidential inaugurals, plus NFL kickoffs, corporate events and product launches. He has won 10 Emmy Awards for his productions, as well as a Peabody and an Edward R. Murrow Award. Though not all the events are broadcast, it’s live television that Kirshner craves. What some people might find surprising is that, at Lehigh, Kirshner majored in accounting. The university was a popular choice among graduates at the private high school he attended in Livingston, N.J., and Kirshner was good in math. When it came time for him to choose a major, he picked accounting, figuring he’d always be able to get a job with those skills. But Kirshner, the son of famed music publisher and record producer Don Kirshner, admits he never really wanted to be an accountant. (No offense to his professors at Lehigh, he says.) As early as third grade, he wrote that he wanted to be a producer. Despite his early aspirations, Kirshner decided as a Lehigh student to interview with accounting firms that recruited on campus, and, as a sports fan, with ABC Sports in New York City. While the sports division didn’t have an opening, he was hired to fill in for a woman on maternity leave at ABC News’ 20/20. She ended up not returning to the finance position, and Kirshner, with the help of a mentor, moved up quickly in the news division. Ricky Kirshner in the stands at Mercedes-Benz Stadium in Atlanta as he prepares for Super Bowl LIII halftime show. Though Kirshner wasn’t producing either, he was handling budgets for documentarians. In his last finance job at ABC News, he worked in special events, which covered remote shots from the Oval Office, terrorist attacks and space shuttle launches. With “special events” on his résumé, the job was a springboard to a special events production job with Radio City Music Hall, where he helped produce non-televised events such as parades and ceremonies. Kirshner says Smith put him in charge in New York, where he worked as the line producer—the money guy—for the convention. Kirshner handled the budgets, ran cost reports, paid the bills. From there, he says, he started working for Smith on TV shows, always as the finance guy. Kirshner’s offices in New York City’s Theatre District seem ideally situated for his work on the Tony Awards shows, which, like the Super Bowl halftime shows, are broadcast live. On the walls of a conference room are framed and autographed posters of events that he has produced. He keeps a few of his Emmys near his desk. Kirshner’s wife, Rina Kirshner, who runs a not-for-profit cultural exchange program with Russia, also shares office space here. Kirshner has been doing the Tonys since 1993, first as a line producer, and now, along with his partner in White Cherry Entertainment, Glenn Weiss, as the shows’ executive producer. Not unlike the Super Bowl, the Tonys bring their own unique challenges. With nominees announced only five weeks before the show, Kirshner and his crew need to pull together 10 to 12 production numbers in a short amount of time. Rehearsal time is also limited. One of the more memorable shows was in 2013, when the Tonys moved back to Radio City Music Hall from the Beacon Theatre and actor Neil Patrick Harris, that year’s host, suggested a “Bigger” opening. Lin-Manuel Miranda, who had already done “In the Heights” but not yet “Hamilton,” and Tom Kitt wrote the opening, which saw Harris jump through a hoop and perform a magic trick. It won broad praise. For the 2018 Tonys, hosts Sara Bareilles and Josh Groban co-wrote an opening number that poked fun at “the people who lose.” Entertainment Weekly named “This One’s for You” as one of last year’s five best TV songs. You throw an interception? You’ve got to go back out there and throw another deep bomb. If you feel like something went wrong, you still need to keep your cool and keep moving forward. For the 2016 Democratic National Convention in Philadelphia, a consultant for eventual nominee Hillary Clinton was at a diner and saw an image of all the U.S. presidents together, possibly on a placemat or menu. The consultant was struck by the sea of male faces. “And there are people saying, ‘we’ve got to build a glass ceiling!’” that will shatter in the convention hall when Clinton officially gets the Democratic nod, he says. A logistical challenge, especially when trying to keep an element of surprise for the live event, the “glass ceiling” scenario became one of the more memorable moments of the convention. Kirshner and his team tried working with glass confetti, but that didn’t go well, and they rehearsed in pieces to limit exposure. Ultimately, an animation was created that showed the faces of all 44 male presidents (up until that time) in rapid succession before shattering like glass. Clinton then emerged on camera to address the convention from New York. For the 2004 Tonys, Broadway legend Carol Channing, then 83, was paired with rapper LL Cool J to present for Best Score. People asked, what will they do? Someone in the talent department suggested that Channing do a rap. That was a germ of an idea, Kirshner says. When the two stars appeared on stage, Channing “updated her act,” and with LL Cool J did a “Hello Dolly” rap. By most accounts, the Prince halftime show was “epic.” An NFL contact had assured Kirshner that in the history of the performances, it had never rained. But on game day, it was raining, and it was expected to get much worse by halftime. Concerned, Kirshner headed to the artist’s trailer to ask, what do you want to do? Prince chose to go on, singing his signature “Purple Rain” in a downpour with dancers in heeled boots joining him. That night brought other problems. In the minutes crews had to assemble the stage on the field, a lighting cable was inadvertently cut. Kirshner says a team member literally had to hold the cable together for 12 minutes while the show went on. With live television, Kirshner has learned to deal with the unexpected. At a “Night of Too Many Stars,” which raises money for autism programs, a guest who is nonverbal but communicates through a computer was set to interview Stephen Colbert live. Because the guest also has an obsessive-compulsive disorder, she became distracted by confetti on the stage, and Kirshner had to cut to other action. Worried that the show had not gone well, he was surprised to learn later that viewers were moved by the heartfelt moment, as it captured the challenges that people with autism and their families face. In Atlanta, Kirshner and his team of professionals have offices in rows of plain, white trailers situated under a bridge on the Mercedes-Benz Stadium compound. Kirshner shares his space with Hamish Hamilton, the halftime show’s television director, and a few others. Kirshner arrived in Atlanta five days earlier, though he was traveling and planning for the event— down to the second, down to each detail—for about six months. Some team members arrived weeks earlier, in early January, to work out logistics and assemble parts of the stage, which was constructed in Los Angeles and transported by truck to the stadium. Now, about 300 close team members are on site, and they meet each day for catered lunches and dinners under a huge tent. On this afternoon, the chefs serve up turkey ribs, brisket and chicken tortilla soup, salad and fixings, and desserts. Most of the team has worked on the halftime shows for years, and they sport signature jackets and vests from various shows. The staging area is a huge white tent, where a team is assembling the technology that will be part of the show, another team is attaching a drum set to a part of the stage, and yet another team in a curtained “war room” is figuring out the quickest way to assemble the stage on the field. At the far end of the tent is a black 1969 Cadillac that Big Boi will use for his “big” entrance. And when the on-field cast gathers here before the hours-long rehearsals, they’ll be able to grab sandwiches before heading to the stadium. Some 400 people, many of whom return year after year to work the event, are going to run the stage sections onto the field. Another 1,500 people recruited from the Atlanta area are part of the show’s on-field cast, and they have already been rehearsing at a nearby location with choreographer and on-field cast director Kristen Patterson “KP” Terry. The Grammy-winning group Maroon 5 is set to arrive tomorrow. Kirshner has been at the group’s rehearsals in a soundstage in Los Angeles, meeting many times with frontman Adam Levine and band members, as well as Travis Scott and Big Boi. Using video footage from the various rehearsal locations, Kirshner and his team edit together an animation of the show to better assess how it will look on television. The animation helps them address camera angles and the like. “We don’t get that much time on the field, so we have to rehearse in our own way,” Kirshner says. Back at the trailer, Hamilton reflects on working with Kirshner for the past decade at the Super Bowl. The team members come from all over the world (Hamilton is from Britain) and are together in what can be a “very stressful, very time-compressed” situation, he says. “And that team has to be led.” While Kirshner can be “a tough task-master,” he says, “he creates a really good atmosphere,” balancing the creative with the logistics. At 6:15 p.m., the first of two run-throughs begins. Maroon 5 takes to the stage with hits that include “Harder to Breathe,” “Girls Like You” and “Sugar.” Travis Scott, surrounded by fire, joins to perform “Sicko Mode.” Big Boi arrives in the Cadillac for “The Way You Move.” Not everything goes perfectly, but there will be two more nights of rehearsals. It’s 9:31 p.m. when rehearsals end, and Kirshner heads next to a “creative” meeting. 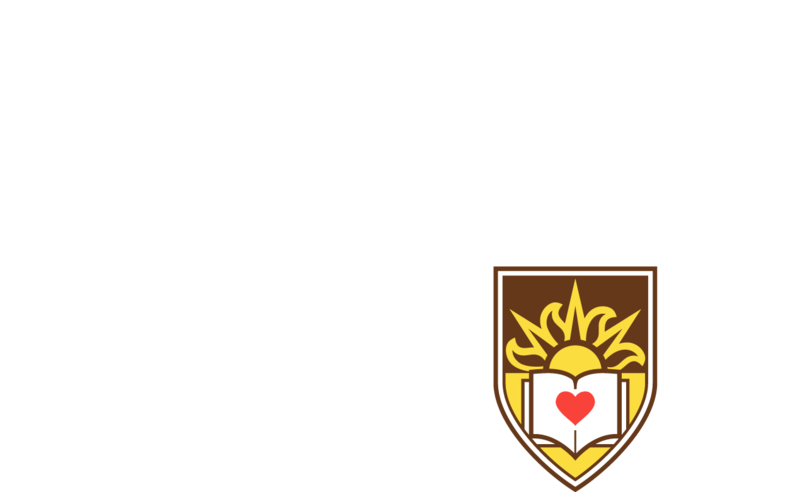 The gift will provide for future generations of Lehigh scholars by being the first to support the New Residential Houses project.